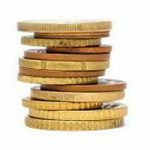 Subscription revenue model is one of the most popular revenue models for online content publishers. 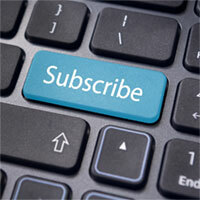 The subscription-based revenue model is not new for content publishers. 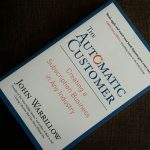 As John Warrillow mentions in his book, The Automatic Customer, about five centuries ago, the European map publishers were inviting their customers to subscribe to the future versions of the maps. This offer was reasonable because from time to time, new lands were discovered or conquered around the globe. Newspapers, cable TVs, and many other media and communication businesses are more recent examples of the content creators employing this model, even before the birth of the internet. However, with the boom of the content economy, content businesses became one of the leading examples of generating revenue through the subscription model. Barry Libert and his colleagues in their book, The Network Imperative, have listed The Ten Principles for Creating Value. There they referred to “moving from transaction-revenue to the subscription revenue” as the sixth element of the list. Although many points in this article are applicable to various subscription businesses, my concentration would be mainly on the content creators and the way they use this revenue model. 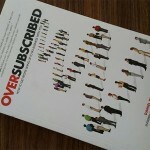 There are many different definitions of the subscription business. Most of them address the same features with different wordings. A subscription website is a site that collects a recurring payment from customers in exchange for recurring product replenishment or on-going service. Subscription fees are one of the major revenue models in which customers pay a fixed amount, usually monthly, to get some type of service. An example would be the fee you pay to an Internet access provider (fixed monthly payments). Although I have called the above options as alternatives, it’s also possible to include them as a complementary element in your selling proposition. Outside of the content industry, you can find these kinds of hybrid models in many e-shops and online retailers such as Amazon. Amazon offers a subscription option called Subscribe & Save on the product categories with recurring orders. The Amazon model offers free shipping and up to 15% discount on selected categories of products (Amazon’s Prime service is just another subscription offer, more similar to the classic style of subscription-based systems). However, in the content industry, the hybrid model is not as popular as it is in the e-tailing. 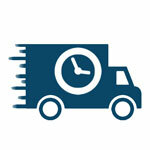 There are many content businesses with on-time purchase offers (e.g. a video file or an ebook), while some others prefer to sell subscription services. Again Amazon is a great use case of the hybrid revenue model with its Audible business. There you can experience a well-elaborated content revenue model utilizing advantages of both types of revenue models. There are different imaginable scenarios for the future of the content subscription business model. About two decades ago, James Heskett of the Harvard Business School, summarized the prospect of the subscription model as “down but not out”, in his article titled “The Future of the Subscription Model“. In his article, he noted that the content providers might prefer to give away everything free-of-charge, just to attract more audience and generate revenue through selling Ads. But now we know that the subscription model is growing yet. This is what McKinsey reports in 2018, referring to the 100% growth of the e-commerce market over the course of five years. It’s still too early to bet on one of the possible scenarios. But Robbie Boxter’s advice in The Membership Economy can be helpful in prolonging the lifetime of the subscription model. Aiming further than subscription. Something he calls membership. I define membership as the state of being formally engaged with an organization or group on an ongoing basis. Members are part of the whole—although they don’t always contribute to the experience of other members. An organization able to build relationships with members—as opposed to plain customers—has, as we’ll see, a powerful competitive edge. It’s not just changing the words you use; it’s about changing the way you think about the people you serve and how you treat them.